Date and time TBA ~ Check back for updates. The photo above was taken at the 2010 Twin Peaks Roundup. 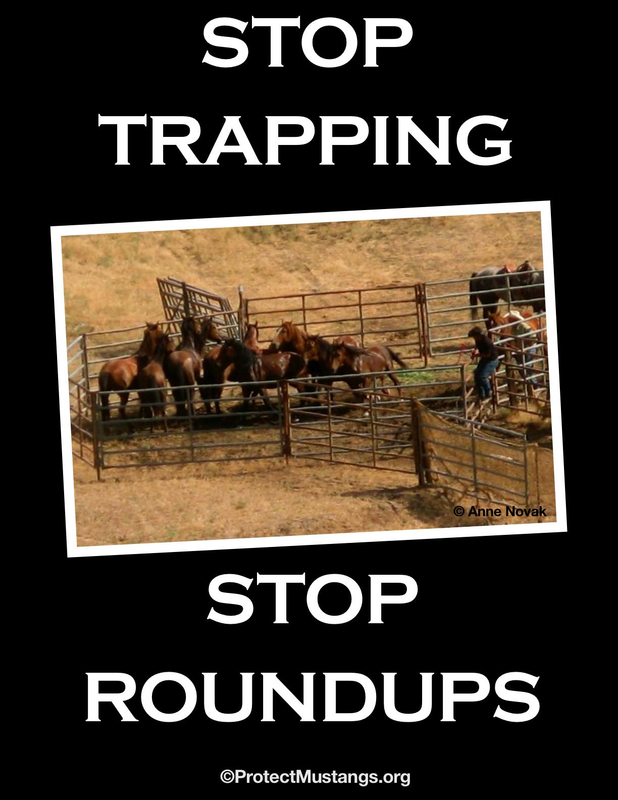 Stop the roundups! Spread the word. FEB 13 2012 –With 45,000 or so wild horses in federal control, the Bureau of Land Management selects a “pro-slaughter cattlewoman” to be the public’s voice on its advisory board. To wild horse advocates, the ones who fret daily over the worsening plight of the American mustang, Montana’s Republican former senator Conrad Burns holds a special spot in the pantheon of enablers, cynics, scoundrels and villains who have conspired for generations to endanger the health and safety of the herds. In November 2004, at the last minute, it was then-Senator Burns who inserted into a 3,300-page budget appropriations bill a single-paged rider that amended the 1971 Wild Horse Protection Act so it was legal, once again, to slaughter wild horses. With the subsequent stroke of President George W. Bush’s pen, Burns thus achieved (without any legislative debate) what Wild Horse Annie‘s Act had specifically sought to prevent. By re-authorizing slaughter, Burns had nurtured the political incentive for the feds to capture and control more wild horses. The economics of that, in turn, helped free up more public/private land for more use by the livestock, oil and mining industries. The free market, in other words, was unleashed upon the horses. They never stood a chance. And they still don’t. The answers come easier not because they are wiser, but because of the absence of any meaningful dissent or discussion about alternatives. In November 2006, Kurt Brungardt wrote an important essay in Vanity Fair chronicling most of this story. Back then, rather than undertake a meaningful revision to the Wild Horse Act that would restore some spine to the federal legislation, Congress instead effectively banned the slaughter of all horses on American soil. The legislation didn’t end the slaughter business that Burns had stimulated, of course. It just outsourced it to slaughterhouses in Mexico and Canada. Last fall, Congress conceded defeat; now, U.S. slaughterhouses are re-opening.No one knows how many wild horses have been slaughtered since 2004. Today, for now, the Bureau of Land Management is prohibited from selling wild horses to those who would then “knowingly” sell them to slaughter. As slender a reed of protection as that is for the horses, it’s actually an improvement from the way it was after Burns first struck. But the current status on slaughter doesn’t even purport to answer the bigger question here: What will now happen now, if not eventual slaughter, to the wild horses under federal control? According to their own figures, the feds now control in pens or fenced pastures at least 45,000 wild horses. Last year, they rounded up over 10,000 wild horses, about the same as the year before . At the same time, however, the government says the number of wild horses roaming free is approximately the same as it was in 2004. Horse advocates believe this latter number is far less than the feds acknowledge but no one knows for sure, which is one reason why the National Academy of Science is currently reviewing the BLM’s wild horse policies. Once dubbed one of the five worst senators by Time, Burns is gone from political office. In 2008, after he was tainted by the Jack Abramoff scandal, he lost his reelection bid. What’s significant here about his career, however, came before he went to Congress. Wikipedia tells us that Burns was a cattle auctioneer before becoming manager of a livestock expo. He was a farm guy; another farm guy, economically and philosophically opposed to wild horses on public land, who was dictating harmful policy about the horses under color and cover of law. Burns may be Public Enemy Number One to the wild horse folks. But the Bureau of Land Management (the “Bureau of Livestock and Mining,” as it has been called) is not far behind. And here is one reason why. Last Monday, for example, the BLM announced that it had “made selections for three positions on the National Wild Horse and Bureau Advisory Board,” a group designed under the 1971 Wild Horse Act to advise the bureaucrats on wild horse policies. One of the BLM’s choices for a “public” spot on the Board was Callie Hendrickson. Ms. Hendrickson is Executive Director, White River and Douglas Creek Conservation Districts, and owner and consultant for E-Z Communications. As executive director of the conservation districts, Ms. Hendrickson has extensive experience in addressing public rangeland health concerns for the Colorado Association of Conservation Districts. Her career is focused on natural resource policy development and education. She has served on the Colorado Foundation for Water Education, Mesa County 4-H Foundation, Mesa County Farm Bureau, and the Mesa County Cattlewomen. Ms. Hendrickson replaces Janet M. Jankura. Could it be? Yet another farm and livestock soul, purportedly the “public’s” voice on the Horse Board, getting a chance for input into wild horse policy? And not just a cattlewoman with an evidently open mind, mind you, but one who seems already to have expressed a great deal of hostility toward the horses? The Cloud Foundation, for example, a leading horse advocacy group, immediately noted that Hendrickson was part of a group which had intervened against it in a lawsuit brought to better protect a free-roaming herd on Colorado’s Western Slope. Particularly objectionable is the recent appointment of Callie Hendrickson, an outspoken advocate for horse slaughter and lethal management of America’s wild horses, to the “Public Interest” position on the board. At a time when public opinion surveys have reconfirmed the American public’s strong opposition to horse slaughter, Ms. Hendrickson’s appointment to represent “general public interest” is, frankly, appalling. Ms. Hendrickson… has a history of anti-mustang positions and in favor of slaughter. In fact, she will be a featured speaker at the United Horsemen summit in Oklahoma, which is being organized to plan strategy for resumption of horse slaughter in the U.S. She has also lobbied for removal of wild horses from public lands; endorsed the destruction of “excess” wild horses and the unlimited sale of captured mustangs for slaughter; testified in favor of anti-wild-horse legislation; criticized wild horse advocates [and] supported legislation to block environmental and animal protection organizations from filing lawsuits (internal links omitted by me). This kind of political and bureaucratic deck-stacking — the BLM truly couldn’t find a neutral new member for the Board? — is a recurring theme in the story of these horses. The people who are responsible for their protection and management typically have enormous conflicts of interest against them. The Secretary of the Interior, Ken Salazar, is a Colorado rancher. The governor of Wyoming, Matt Mead, is a rancher. And the beleaguered, old Wild Horse Protection Act is only as sound as the men and women who interpret and implement it. The attempt by activists to discredit the new appointees to the Wild Horse and Burro Advisory Board is a typical tactic employed by anti-BLM partisans to push their anti-management agenda by any means possible. 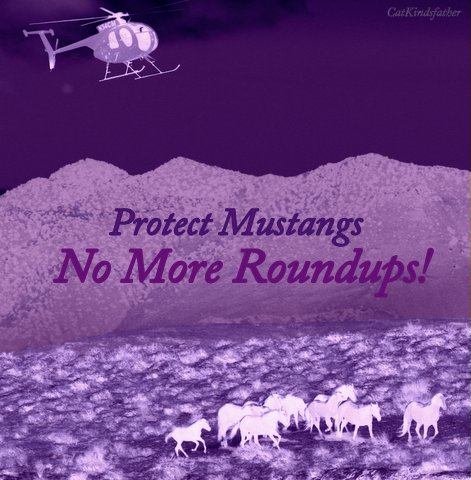 Their apocalypse-now, sky-is-falling rhetoric is flagrantly dishonest and is clearly aimed at preventing the BLM from gathering horses from overpopulated herds on the range. The BLM is not ‘managing for extinction.’ There is no conspiracy to put down healthy horses that are in off-the-range holding facilities. Members on our board are qualified based on their knowledge of the law, current program actions, and their commitment to ensuring that healthy horses thrive in balance with other public rangeland resources and uses. The next day, Gorey sent me another email. Citing the language of the 1971 statute, he wrote that Hendrickson “was found to meet all of the requirements for the General Public appointee. 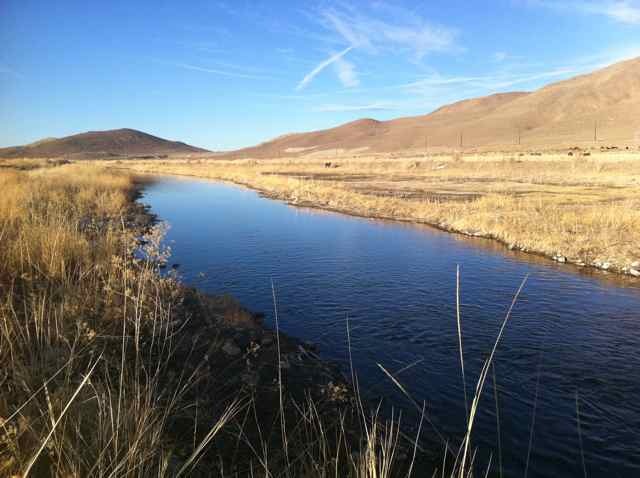 Requirements include a special knowledge about protection of wild horses and burros, management of wildlife, animal husbandry, or natural resource management.” Gorey told me that both the Secretary of the Interior — that would-be rancher Salazar — and the Secretary of Agriculture had signed off on Hendrickson’s appointment. Last year, the BLM reconfigured the board membership. Previously, there were two slots for livestock/ranching interests. One of those slots was converted to public interest with equine knowledge, meaning that there are now 2 representatives of the public and 1 livestock representative on the board. BLM embraced this change as evidence of their commitment to reforming the program. With the appointment of Hendrickson, the BLM is, in essence, taking back the livestock slot, providing more evidence (as if we needed any more!) that the BLM talks about reform while continuing the same old business as usual. “Business at usual” at the BLM is not good news for the horses. First, the horses got the shaft during the Reagan Administration, from the brush-clearing California cowboy himself. Next, their situation became materially worse during the administration of George W. Bush, the Connecticut oilman with the cowboy hat. And things look even worse now after three years of President Barack Obama, the politician who campaigned against horse slaughter, but who nevertheless signed last fall’s slaughter bill. So what is America going to do with all the wild horses it has rounded up to keep America’s public lands available for cattle and sheep? How is the BLM going to continue to justify the continuing costs of keeping the horses penned or pastured? The concern, for wild horse lovers, isn’t just that no one in Washington seems to have a good answer to those questions. The concern is that when the answers finally do come from government they’ll come from folks like Hendrickson, who evidently believe that large-scale slaughter is a valid option.There is no conspiracy, the BLM’s Gorey says, but there doesn’t have to be one to doom the horses. You get enough like-minded people into a bureaucracy, or onto an advisory board, and pretty soon everyone agrees about what ought to be done. The answers come easier not because they are wiser, or because they purport to follow the spirit of the law, but because of the absence of any meaningful dissent or discussion about alternatives. That’s how bad policy gets made, how it sustains itself, and how, eventually, it becomes a self-fulfilling prophecy. From the BLM’s newly-constituted Advisory Board to the number of hooves now penned in; from the Interior Secretary’s ranching interests to complaints about the taxpayer costs of keeping so many public horses in captivity; from the resumption of horse slaughter on American soil to the heightened pace of yearly round-ups, there is little that advocates can point to today as a sign that things are going to get better, and not much worse, for the wild horses (who, as I’ve written before, constitute a tiny fraction of all animals ranging public land). It would take a great many acts of political courage on Capitol Hill to restore some sense of balance to the policy argument over the fate of the horses. It would take an amendment to the 1971 law — a revision that would go against the interests of the powerful livestock and ranching lobbies and their tribunes in state and federal government. And it would take a change in personnel and policy at the Interior Department, and its Bureau of Land Management, to make the executive branch the honest broker that wild horse advocates want it to be. It would take, in other words, an honest and meaningful national discussion about whether we want to continue to protect our wild horses and precisely how we want our BLM bureaucrats to “manage” them. It’s a debate which horse advocates would welcome — the polling looks good — but which isn’t likely to ever happen. Instead, the spirit of the federal law which protects the wild horses will continue to be whittled away, one Hendrickson or Burns at a time. For the nation’s symbolic horses, their friends are close — but their enemies are closer. The article is here http://bit.ly/ydKDkD Please share this far and wide so the public knows what’s going on with their tax dollars.